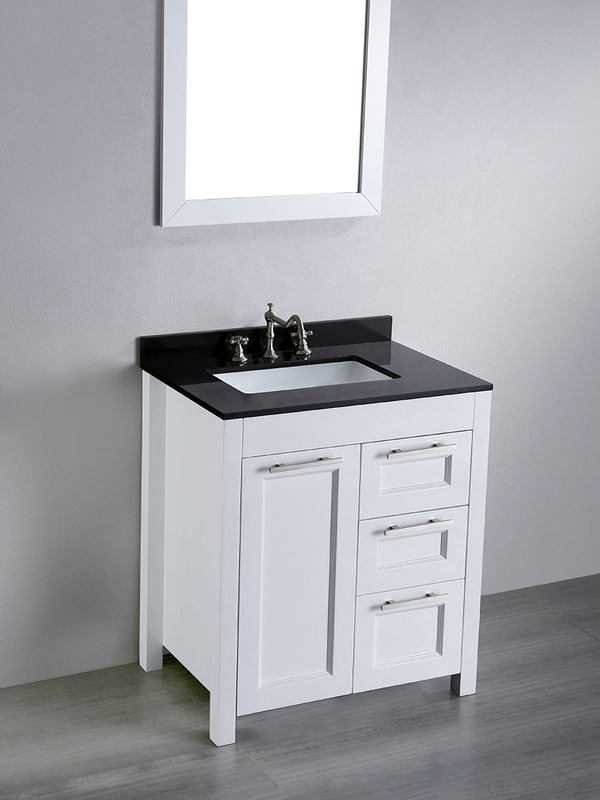 The 30" Valencia Single Bath Vanity brings together two striking colors to give you a vanity with subtle modern appeal. 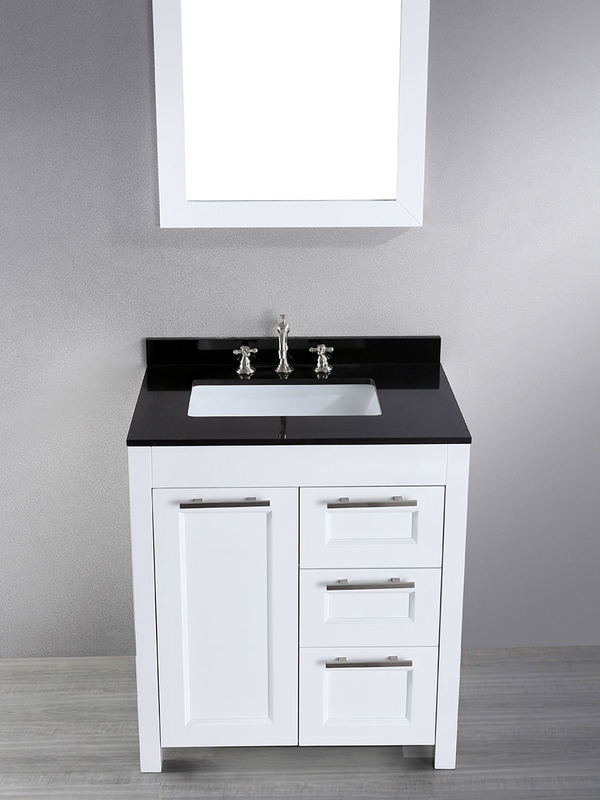 Its cabinet is constructed from solid birch and finished with a bright White finish, then matched with an equally striking Black Granite top. A single-door cabinet and three drawers give you plenty of storage room, and the silver handles make a beautiful accent to the cabinet. 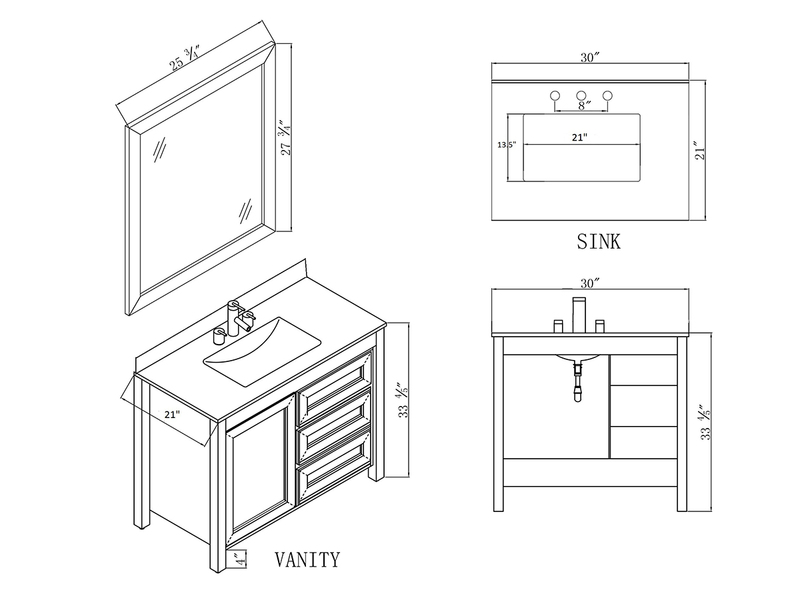 A matching mirror is also included with this vanity.